Curated Event Series Returns for Fourth Year with Innovative Programming, Globally Recognized Speakers, and New Partners. PHILADELPHIA, September 26, 2018 – CraftNOW Philadelphia, a creative consortium of artists, galleries, museums, universities, retailers, and civic organizations, returns for its fourth year of programming to spotlight the vibrant contemporary craft movement in Philadelphia. Through a curated city-wide event series taking place Nov. 1 – 4, 2018 surrounding the Philadelphia Museum of Art Contemporary Craft Show, CraftNOW encourages locals and visitors alike to engage with the art of craft. The 2018 theme – Making A Difference – explores how craft promotes positive change, social cohesion, and meaningful dialogue. Throughout the month of November, exhibition spaces throughout Philadelphia showcase the most honored and innovative artists working today in wood, clay, fiber, metal, and glass. The 2018 CraftNOW series unites more than 100 artists, 20-plus special exhibitions, seven events, dozens of venues, and multiple world-renowned craft experts, emphasizing Philadelphia as a destination for craft and making. A highlight of this year’s programming, CraftNOW welcomes Roberto Lugo, a contemporary ceramic artist, rapper, and social activist in Philadelphia, as the keynote speaker for the Making a Difference Symposium. On Friday, November 2, the Symposium will feature public lectures between noon – 6 p.m. in the University of the Arts Gershman Hall, with Lugo taking the stage at 5 p.m. In his keynote address, Pottery Saved My Life, Lugo will reveal how his experiences as a poor kid from Philadelphia’s Kensington neighborhood inform his work and how craft and making can ignite change. The symposium is sponsored by the American Craft Council, Freeman’s Auction, Rago, The University of the Arts, and the Women’s Committee of the Philadelphia Museum of Art. New for 2018, CraftNOW kicks off their series of signature events on October 13 during a day of Studio Tours with the American Craft Council, led in partnership with P.O.S.T. (Philadelphia Open Studio Tours). The bus tour takes guests to some of Philadelphia’s most exciting makerspaces, including Globe Dye Works, MaKen Studios, Bahdeebahdu, the Crane Arts Building, and ending in Old City with receptions at the Center for Art in Wood, The Clay Studio, Moderne Gallery, and Wexler Gallery. Tickets can be purchased via craftnowphila.org/tours. • CraftNOW partners with the Old City District to present CraftMONTH First Friday in Old City on November 2. Explore boutiques and enjoy evening hours at contemporary craft galleries throughout Old City from 5 – 8 p.m. CraftNOW specials are available at select bars and restaurants with presentation of the CraftNOW brochure. • On November 3, CraftNOW Create brings craft-making out of the studio and into the heart of Philadelphia. From 11 a.m. – 4 p.m., all ages are invited to take part in this FREE and family-friendly event at the Kimmel Center for the Performing Arts, sponsored by Blick Art Materials. Activities and demonstrations, presented by some of the region’s top studios and institutions, include claymation, woodworking, 3-D printing, glassblowing, and button making. • In partnership with Moderne Gallery, CraftNOW presents a special public presentation of the film I Am Known as an Artist about the life and work of Wharton Esherick on November 4 at 2 p.m. The screening at the Center for Architecture will include a question-and-answer session with director Carolyn Coal. CraftNOW closes out 2018 with the opening reception for Wayne Art Center’s Craft Forms: An International Juried Exhibition of Contemporary Craft on December 7, featuring a Juror’s Talk with Perry Allen Price of the Houston Center for Contemporary Craft. Find details and dates for all CraftNOW signature exhibitions at craftnowphila.org/exhibitions. Some exhibitions will stay open throughout CraftMONTH in November. For more background on the CraftNOW organization, partners, sponsorship, and programs visit craftnowphila.org. Join the conversation and engage with the local craft community on social media with @craftnowphl (Facebook, Twitter, and Instagram) and the official hashtag #craftnowphl. 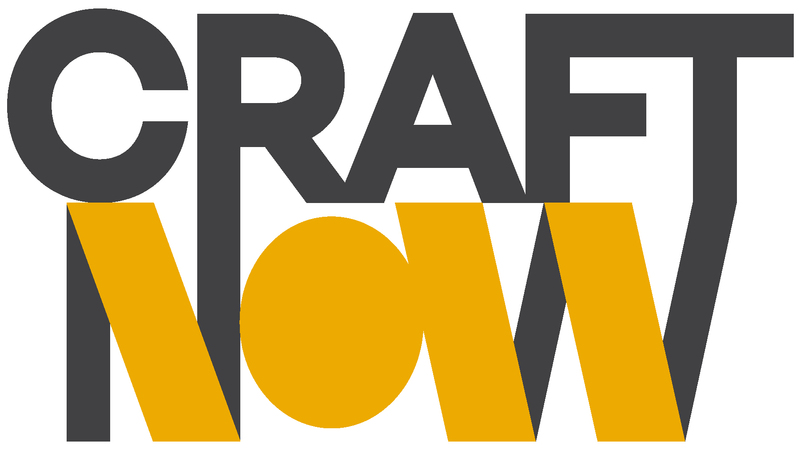 About CraftNOW: CraftNOW Philadelphia was launched in 2014 by a consortium of two dozen individuals, galleries, museums, universities, retailers, and civic organizations whose mission is to promote Philadelphia as a national center of craft and making. CraftNOW serves as a citywide platform that celebrates Philadelphia’s unparalleled craft and artisanal legacy, showcases the area's many outstanding craft artists, galleries and other institutions, and highlights the City’s continuing role in defining the future of craft and making. Each year CraftNOW promotes and/or sponsors a series of exhibitions, public demonstrations, and educational programs occurring concurrently with The Philadelphia Museum of Art’s Contemporary Craft Show in November. These cultural experiences are designed to animate the City, grow the local creative economy, and offer opportunities for the public to engage directly with the art of craft. CraftNOW 2018 programming is supported by University of the Arts, The Women’s Committee of the Philadelphia Museum of Art, Freeman’s Auction, the American Craft Council, Moderne Gallery, and Rago.